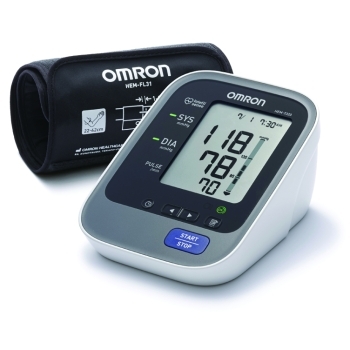 Omron Sphygmomanometer HEM7320 always ensures that users get a precise reading by utilising the Enhanced Intellisense system and Cuff Wrapping Guide. This monitor is preferred by multiple users as it not only detects blood pressure, but it also senses irregular heartbeats. Additionally, if any movement occurs in the body during blood pressure reading, it also alerts the user. For added safety, the coloured blood pressure level indicator alerts the user when the blood pressure readings exceed the guidelines for normal blood pressure levels.